Drawer number 18 of the Liberty Beauty Advent Calendar reveals a travel sized bottle of Malin + Goetz Vitamin E Face Moisturiser. Suitable for all skins, the facial moisturiser contains Vitamin E, Chamomile, B5 and Fatty Acids and is supposed to be particularly good as a pre-makeup primer. 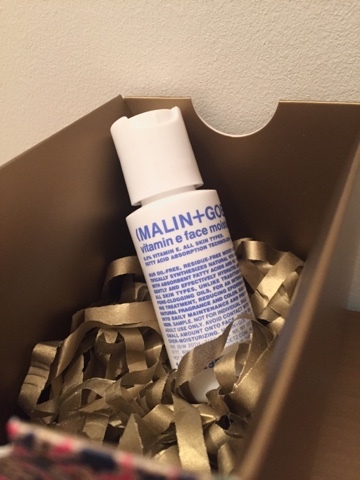 The full sized 118ml version of Malin + Goetz Vitamin E Face Moisturiser is £37 at Liberty.